Born to an un-named surrogate mother, and nicknamed "Blanket" since childhood. 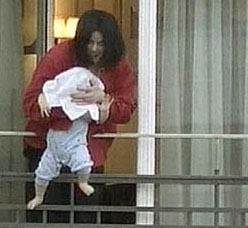 Not to be confused with Michael Jackson's first son, Prince Michael Jackson. Rory Devine, "Jackson's Youngest Was Born in San Diego", NBC San Diego, 8 July 2009. Devine located a birth certificate listing Michael Jackson as father, mother's name redacted, documenting what is likely a surrogate birth at Grossmont Hospital, La Mesa, California on 21 February 2002.